The former minister of mines and steel, was declared winner of the hotly contested July 14 election by the Independent National Electoral Commission, following the collation of the results. 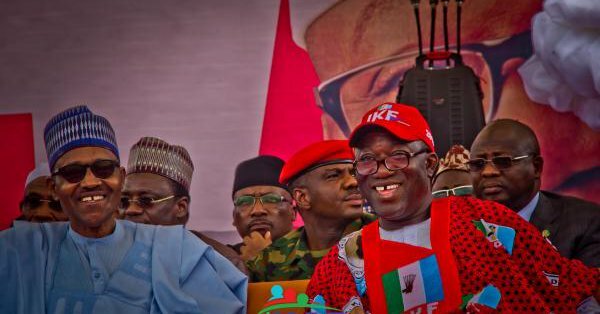 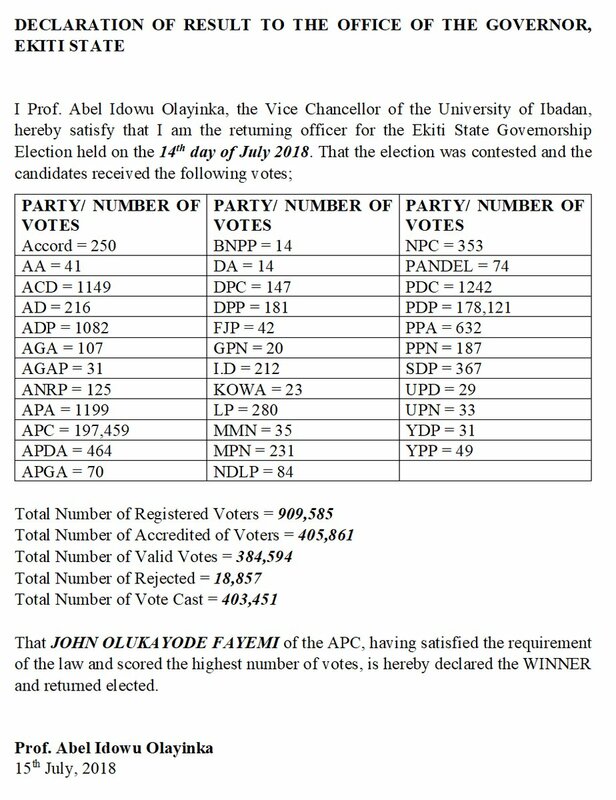 As computed from INEC results, Fayemi polled 197,459 votes. 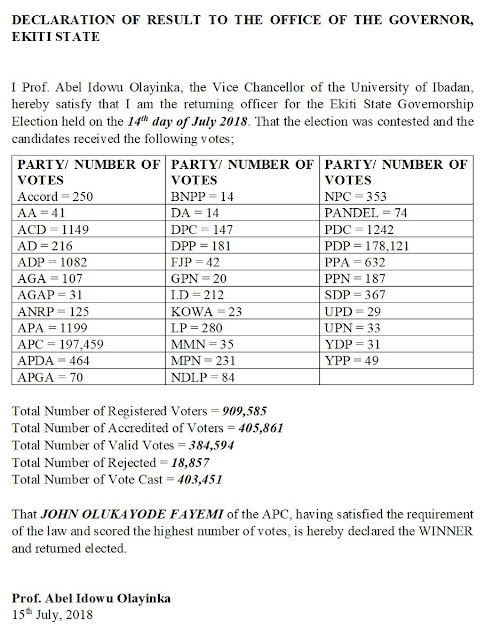 His PDP rival Olusola Eleka, a professor got 178,121 votes.